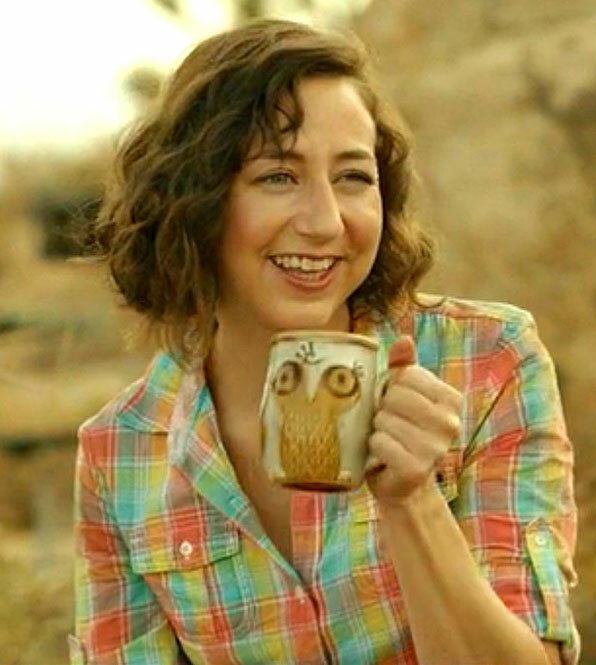 Despite Will Forte’s 30 Rock credentials, I wasn’t in any rush to watch his new sitcom, The Last Man on Earth, until I discovered that Kristen Schaal was co-starring as his post-apocalyptic “love” interest! Sadly, she doesn’t show up until the end of the first episode… but watching Forte smash and pillage his way through an uninhabited America, one year after an unspecified virus wiped out (almost) all human and animal life on the planet, was surprisingly entertaining in itself. Highlights included him nonchalantly shooting out store windows to gain access, stapling priceless paintings to the walls of the mansion he’d commandeered with a crowbar, then drowning his sorrows in an inflatable “margarita pool”… and his escalating car park “bowling” session, ending with two cars colliding and bursting into flames, was pure sight-gag genius! Some critics have suggested that the show loses a little edge after Schaal’s character arrives on the scene… and it’s true that the second episode does settle down into a more familiar two-handed sitcom structure… but I don’t think there’s anything wrong with that, necessarily. There’s still a lot of potential for comedy (and, yes, rom-comedy) in the conflict between the two of them, drawing on archetypal gender differences amped up-to-11 by the devastation around them, and the long period of isolation they’ve both endured: While Forte’s slacker manchild, ‘Phil Miller’, has devolved into an almost feral state of recklessness, Schaal’s strait-laced office manager, ‘Carol Pilbasian’, has become an obsessive stickler, correcting Phil’s grammar at every opportunity, and insisting that they get married before they start repopulating the Earth! According to an interview with HitFix, Schaal was worried about how likeable her character would seem in contrast to the more easy-going Phil, but I think there’s something very sweet and even heroic about the way Carol clings to the social contract, and strives to maintain some semblance of human civilisation, for the sake of her yet-to-be-conceived children! I only have the first two episodes to go on so far, but I think this could well be the best (live action) role that Schaal has ever had, allowing her to play a slightly smarter and subtly-snarky kind of character, with more emotional depth and pathos than we usually see. Cute as Carol is, I’m not sure I’d actually want to be stranded on a desert island with her for the rest of my natural life… but I’m more than happy to be “stuck” with her on my TV for the next couple months! This entry was posted in Rants about TV and tagged Carol Pilbasian, Kristen Schaal, The Last Man on Earth. Bookmark the permalink.